The chance to win a lifetime of free McDonald's has arrived — finally! For those who dream of McNuggets falling from the sky like rain: Behold! The chance to win a lifetime of free McDonald's has arrived — finally! That's because the burger giant is giving away a mythical item called a McGold Card to one lucky person. 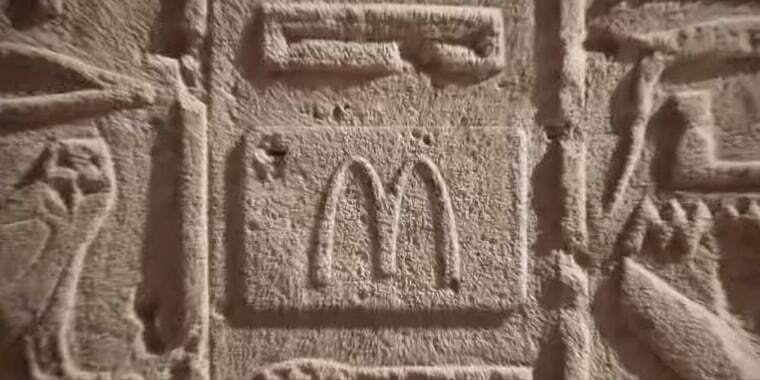 For years there have been rumors that McDonald's gave McGold Cards for free food to a "secret society" of devout burger lovers, celebrities and faithful Filet-O-Fish fans. The rumor started in 1965, when a McDonald's owner gave one to one loyal customer, but the burger giant didn't confirm the existence of McGold Cards until now. In 2015, actor Rob Lowe flashed a McGold Card on "Jimmy Kimmel Live," but it only entitled him to McDonald's freebies for one year in Santa Barbara and Goleta, California. The new McGold Card will be good for a lifetime — or for two meals up to $7 each a week for 50 years, at least, according to the rules. Here's how to enter for the chance to win the McGold Card. Simply place an order on the McDonald's app anytime between Friday, Aug. 10 at 12 a.m. and Aug. 24 at 11:59 p.m. There is also "no purchase necessary" method that allows contestants to email entry@amoeentry.com with the date (mm/dd/yy) in the subject line and full name in the body of the email, according to fine print in the guidelines. Eager contestants can place one order or send one email per day to increase their odds. Now, the McGold Card for this contest isn't actually a card. Instead, it's a phone case that will be engraved with the winner's name and sized for his or her iPhone or Android, a McDonald's spokesperson told TODAY Food. Oh, and it will be made out of 24-karat gold. Even if you don't want 50 years of free McDonald's, you could end up with a $350 phone case that's nearly as blinged out as the designer Bling Mac ring. We're sensing a trend here, Mickey D's.